It’s hard to believe the July school holiday are nearly upon us (or have started already for some schools) – the year seems to be flying by! If you’re looking for ways to keep your kids entertained and get them out of the house during the break, we have a few ideas for you. Here are our five top activities for a fun-filled and adventurous couple of weeks, no matter what age your kids are… who said winter was boring? Sure, summer is awesome – sunshine, trips to the beach, and ice cream – but this year, winter in Adelaide is about to get a whole lot more magical. From 7-31 July, the Torrens Parade Ground will be transformed into an enchanting winter wonderland, complete with an ice-skating rink, a roaring fire, market stalls, delicious food, and of course hot chocolate. The village is open to all ages and entry is free during the day, so it’s a great way to get out and embrace the cooler weather – just remember to rug up! Always a great option (especially for rainy days! ), the South Australian Museum has been running their popular school holiday programs for more than 30 years. During the July holidays the program will explore all the wonders of underwater world, with a range of activities designed to teach kids about our oceans and all its creatures. They can join in on the SeaStar Rock dance party, make their own origami whale or dolphin, and learn about underwater sound waves and how dolphins use them to communicate – plus lots more. Some of the sessions do need to be booked, so be sure to visit their website for more information. This is an activity for the older kids (12 years old and up), but it’s definitely an adventure they’ll never forget! Once they’ve been kitted out in a RoofClimb suit and safety harness, their RoofClimb Leader will take their group on a sky-high journey along the roofline of Adelaide Oval’s Western Stand, as they enjoy the incredible views of the Oval, the city and beyond. They’ll then cross over a narrow bridge linking the Western Stand to the Riverbank Stand, and make their way to a viewing platform overlooking the turf 50 metres below. For the daredevil kids, there’s also the option to ‘lean out’ over the edge, tethered only by their harness – and get a seriously cool photo taken while they’re at it! Climbs depart during the day and at twilight, with prices starting from $69 for kids aged 12-15 years. Spots are limited (maximum of 14 people per climb) – click here to make your booking. There are also a couple of height and weight restrictions so please check out the FAQs page to learn more. A trip to Adelaide Zoo is always sure to be a fun day out for the kids, and during the school holidays there are also some great programs on offer. This time it’s all about celebrating the smaller animals at the Zoo, including the incredibly cute new Pygmy Hippo, Obi – check out their website for dates and more information about this program. The Zoo is also running ZOOcation Care, an all-day program where kids will learn about the animals, enjoy loads of different games and activities, and join in on animal presentations. Places are limited though so make sure you to book in before it’s too late. 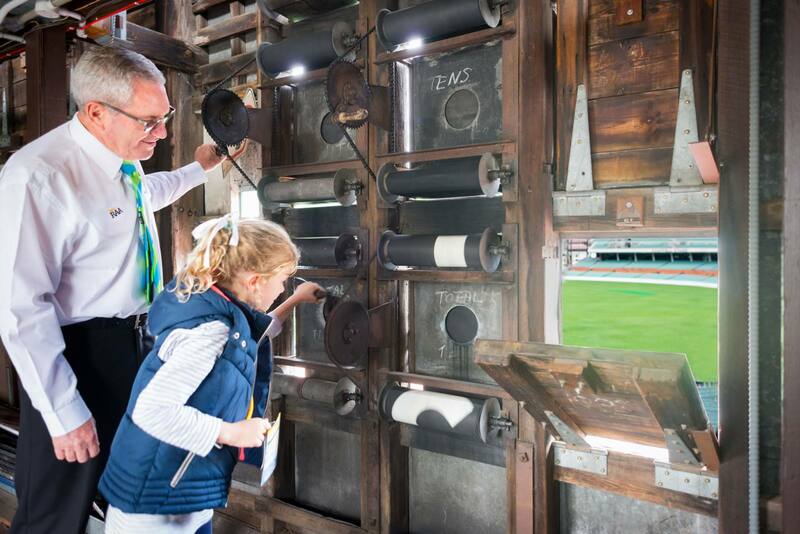 An Adelaide Oval Stadium Tour is guaranteed to be a hit with kids of all ages! Led by expert volunteer guides full of fascinating stories, your kids will be taken on a journey behind the scenes for an inside look at the stomping ground of their sporting heroes. Not only will they step inside the iconic heritage-listed scoreboard (and even get to have a go at working it themselves), they’ll access restricted areas of the Oval such as the change rooms, and experience the roar of the crowd as they take to the ground through the interactive player’s race, just like so many sporting idols have done before them. The Bradman Collection, which brings together Sir Donald’s priceless personal collection of sporting memorabilia, is also a popular activity and is free for the public to view. Budding cricketers can even have a go at batting against a water tank, just as the great man himself did. Adelaide Oval Stadium Tours operate seven days a week and prices start at $12 for kids aged 5-15 years – find out more and make a booking here. Of course, these are just some of the many awesome activities you can get involved with during the holidays – there are loads of cool things happening around the city and Riverbank Precinct so be sure to check out their website for all the details.